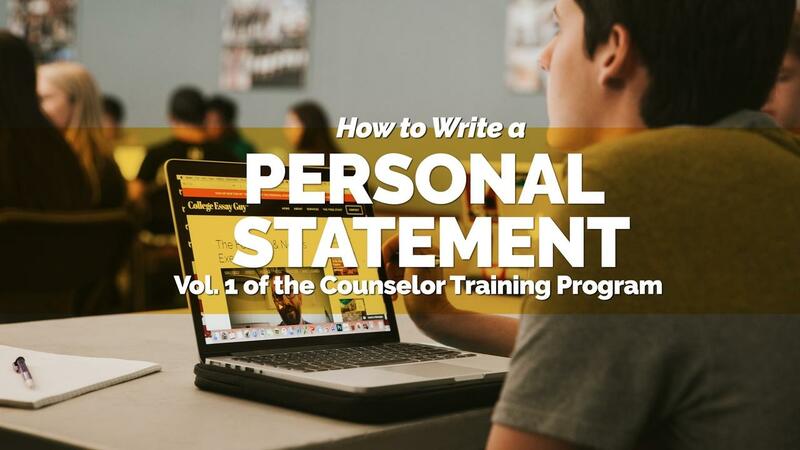 This online video course provides counselors with everything they need to help their student write an amazing personal statement for college. With over 10 hours of content, including Q&A sessions with me (College Essay Guy), it's the most comprehensive course of its kind. There's a big difference between writing something awesome (as a student) and helping someone else write something awesome (as a counselor). With this in mind, this course includes content geared specifically to counselors that answers frequently asked questions and provides solutions to common struggles that counselors face. What do I do when a student shows up to an initial one-on-one essay session with an essay draft? With no essay draft? What's the line between supporting and enabling a student (i.e. how much help is too much)? What are my core counseling values and are they actually aligned with the way I'm leading my sessions with my students?